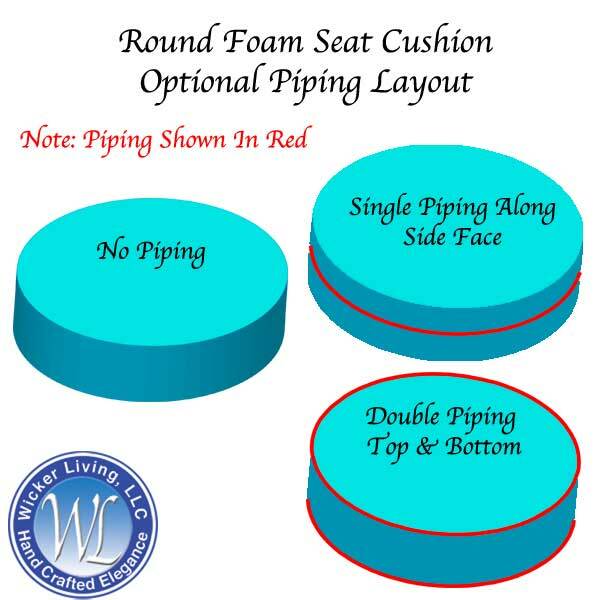 Our Solid Foam Round Ottoman Cushions Are Made In The USA! Solid foam round ottoman cushion for indoor or outdoor furniture. 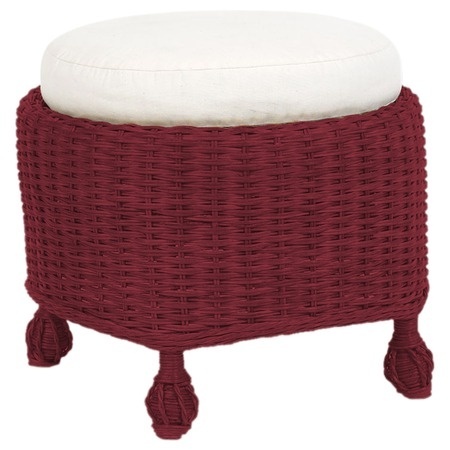 Round ottoman cushions are available in various diameters and thicknesses. Zipper can be placed on the side or on bottom. If zipper is placed on the side, the top and bottom of the cushion can both be used. If the zipper is placed on the bottom, only the top side of the cushion can be used. Select optionally available single or double piping.